It didn’t take long for the message boards on multiple forums to mention Mexican legend Juan Manuel Marquez’s physical appearance following his impressive win over “Mile High” Mike Alvarado. Many people mentioned the spots/acne on the 40-year-old Marquez’s upper body as an indication of performance-enhancing drugs (PED) but in the same post mentioned he put in a great performance and expressed their desire for a Pacquiao rematch (fight number five). It got me thinking: As much as we want a good fight, do the paying fans really care if there is a suspicion of PED use? We all want great performances from our athletes no matter what the sport is, but to what lengths and at what costs? A world record or amazing acts are performed rarely, as to do something no-one or only a handful of people on the planet can do should be nearly impossible, but we seem to be getting acts of greatness more and more in sports overall. Anyone who watches Boxtalk knows I strongly disagree with performance-enhancing drugs. However I’m not blind to the fact that steroids in sports have been around long before most of us were born. 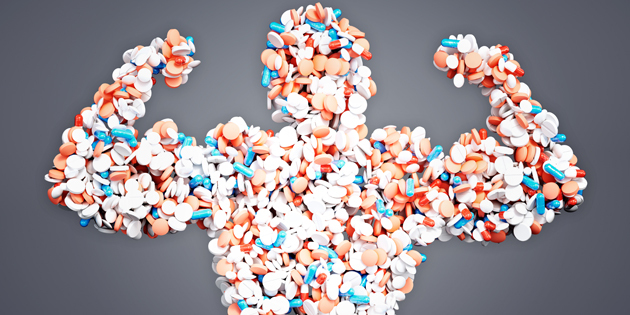 The first commonly acknowledged use of steroids in sport is the Ben Johnson incident from the Seoul Olympics back in 1988, but governments and sports have been using steroids for medical and sports improvements from the 1930s and 1950s respectively. The drug of choice used today is synthetic testosterone and only a handful of governing or sanctioning bodies, commissions or boards even test for it, and in boxing it’s tested for but rarely.